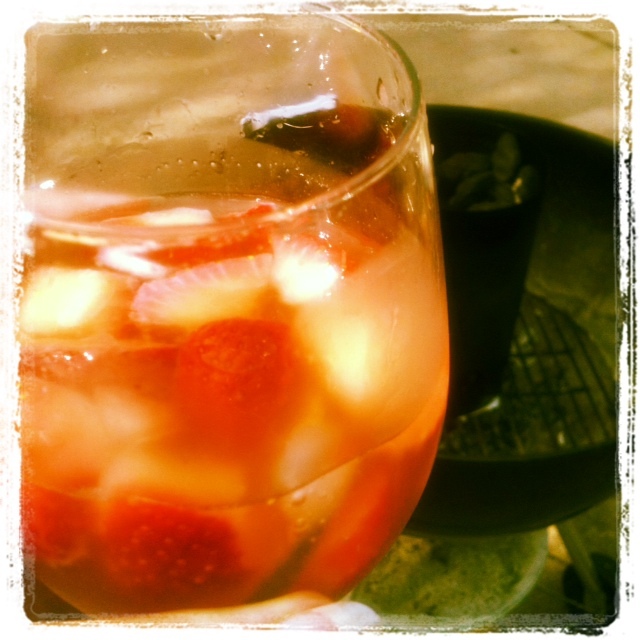 After a day of racquetball, coffee with a friend, cleaning, and a quick trip to the pool, we finished off the night with sangria (for my friend and me) and BBQ for everyone. We sat on the back patio and watched the kids run through the yard while we picked boozy fruit out of our glasses and chatted. That seems like a good end to the weekend to me!